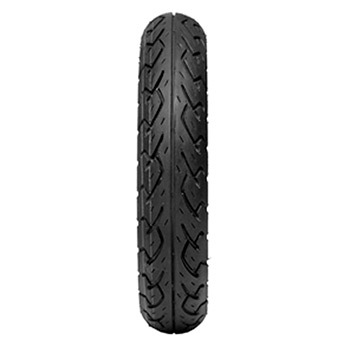 TVS CONTA 625 is a tubeless nylon front two wheeler tyre. CONTA 625 is suitable for bikes with tyre size 90/100 10. Its width is 90 mm, profile or aspect ratio is 100% of width and it fits wheels with a rim size of 10 inches. It has a load index of 53 and the maximum load it can handle is 206 Kgs. Speed rating of this tyre is "J"It has manufacturer warranty. This Tyre fits in the following bikes: Access, Activa, Alpha, Aviator, Crux, Dio, Fascino, Impulse, Let's, Maestro, Maestro Edge, Mahindra Scooter, Ray, Saluto, Scooty, Suzuki Scooters, Swish, TVS Scooters, Vespa, Yamaha Scooters.